Today, we’re excited to announce that Alexa VP and Head Scientist Rohit Prasad will present a State of the Union on Alexa and recent advances in conversational AI at AWS re:Invent 2016. The Alexa team will also offer six hands-on workshops to teach developers how to build voice experiences. 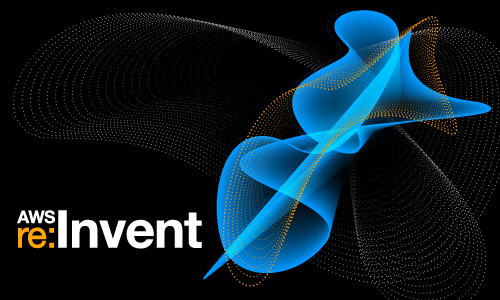 AWS re:Invent 2016 is the largest gathering of the global Amazon developer community and runs November 28 through December 2, 2016. AWS re:Invent registered attendees can now reserve spots in sessions and workshops online. You can register for Alexa sessions now. Alexa VP and Head Scientist Rohit Prasad will present the state of the union for Amazon Alexa at AWS re:Invent 2016. He’ll address advances in spoken language understanding and machine learning in Alexa, and share how Amazon thinks about building the next generation of user experiences. Learn how Amazon is using machine learning and cloud computing to help fuel innovation in AI, making Alexa smarter every day. The session is on Wednesday, November 30, 2016 from 1-2 pm. We also today announced that the Alexa team will run six workshops to teach developers how to build Alexa experiences with the Alexa Skills Kit and the Alexa Voice Service. This workshop teaches you how to build your first voice skill with Alexa. You bring a skill idea and we’ll show you how to bring it to life. This workshop will walk you through how to build an Alexa skill, including Node.js setup, how to implement an intent, deploying to AWS Lambda, and how to register and test a skill. You’ll walk out of the workshop with a working prototype of your skill idea. Fascinated by Alexa, and want to build your own device with Alexa built in? This workshop will walk you through to how to build your first Alexa-powered device step by step, using a Raspberry Pi. No experience with Raspberry Pi or Alexa Voice Service is required. We will provide you with a Raspberry Pi and the software required to build this project, and at the end of the workshop, you will be able to walk out with a working prototype of Alexa on a Pi. Please bring a WiFi capable laptop. The Alexa track at AWS re:Invent will dive deep into the technology behind the Alexa Skills Kit and the Alexa Voice Service, with a special focus on using AWS Services to enable voice experiences. We’ll cover AWS Lambda, DynamoDB, CloudFormation, Cognito, Elastic Beanstalk and more. You’ll hear from senior engineers, solution architects and Alexa evangelists and learn best practices from early Alexa developers. As we add thousands of skills to Alexa, our developers have uncovered some basic and more complex tips for building better skills. Whether you are new to Alexa skill development or if you have created skills that are live today, this session will help you understand how to create better voice experiences. Last year, Capital One joined Alexa on stage at re:Invent to talk about their experience building an Alexa skill. Hear from them one year later to learn from the challenges that they had to overcome and the results they are seeing from their skill. The experience in the auto industry is changing. For both the driver and the car manufacturer, a whole new frontier is on the near horizon. What do you do with your time while the car is driving itself? How do I have a consistent experience while driving shared or borrowed cars? How do I stay safer and more aware in the ever increasing complexity of traffic, schedules, calls, messages and tweets? In this session we will discuss how the auto industry is facing new challenges and how the use of Amazon Alexa, IoT, Logistics services and the AWS Cloud is transforming the Mobility experience of the (very near) future. The Jet Propulsion Laboratory designs and creates some of the most advanced space robotics ever imagined. JPL IT is now innovating to help streamline how JPLers will work in the future in order to design, build, operate, and support these spacecraft. They hope to dramatically improve JPLers' workflows and make their work easier for them by enabling simple voice conversations with the room and the equipment across the entire enterprise. What could this look like? Imagine just talking with the conference room to configure it. What if you could kick off advanced queries across AWS services and kick off AWS Kinesis tasks by simply speaking the commands? What if the laboratory could speak to you and warn you about anomalies or notify you of trends across your AWS infrastructure? What if you could control rovers by having a conversation with them and ask them questions? In this session, JPL will demonstrate how they leveraged AWS Lambda, DynamoDB and CloudWatch in their prototypes of these use cases and more. They will also discuss some of the technical challenges they are overcoming, including how to deploy and manage consumer devices such as the Amazon Echo across the enterprise, and give lessons learned. Join them as they use Alexa to query JPL databases, control conference room equipment and lights, and even drive a rover on stage, all with nothing but the power of voice! Learn how to develop voice-based serverless back ends for Alexa Voice Service (AVS) and Alexa devices using the Alexa Skills Kit (ASK), which allows you to add new voice-based interactions to Alexa. We’ll code a new skill, implemented by a serverless backend leveraging AWS services such as Amazon Cognito, AWS Lambda, and Amazon DynamoDB. Often, your skill needs to authenticate your users and link them back to your backend systems and to persist state between user invocations. User authentication is performed by leveraging OAuth compatible identity systems. Running such a system on your back end requires undifferentiated heavy lifting or boilerplate code. We’ll leverage Login with Amazon as the identity provider instead, allowing you to focus on your application implementation and not on the low-level user management parts. At the end of this session, you’ll be able to develop your own Alexa skills and use Amazon and AWS services to minimize the required backend infrastructure. This session shows you how to deploy your Alexa skill code on a serverless infrastructure, leverage AWS Lambda, use Amazon Cognito and Login with Amazon to authenticate users, and leverage AWS DynamoDB as a fully managed NoSQL data store. This session introduces the beta process, the Smart Home Skill API, and how to quickly and easily set up a smart home so you can begin using Alexa to control lighting, blinds, and small appliances. We begin by going over what devices you can buy and share and some common best practices when enabling these devices in your home or office. We also demonstrate how to enable these devices and connect them with Alexa. We show you how to create groups and manage your home with your voice, as well as some tips and tricks for managing your home when you are away. This session explains how to use the Smart Home Skill API to create a custom skill to manage your smart home devices as well as lessons learned from dozens of customers and partners. Alexa smart home partner Ecobee joins us to talk about their experience in the Smart Home Skill API beta program. Ever wonder what it takes to add the power of Alexa to your own products? Are you curious about what Alexa partners have learned on their way to a successful product launch? In this session you will learn about the top tips and tricks on how to go from VUI newbie to an Alexa-enabled product launch. Key concepts around hardware selection, enabling far field voice interaction, building a robust Alexa Voice Service (AVS) client and more will be discussed along with customer and partner examples on how to plan for and avoid common challenges in product design, development and delivery. Hitting the submit button to publish your skill is similar to sending your child to their first day of school. You want it to be set up for a successful launch day and for many days thereafter. Learn how to set your skill up for success from Andy Huntwork, Alexa Principal Engineer and one of the creators of the popular Alexa skill "The Magic Door." You will learn the most common reasons why skills fail and also some of the more unique use cases. The purpose of this session is to help you build better skills by knowing what to look out for and what you can test for before submitting. In this session, you will learn what most developers do wrong, how to successfully test and QA your skill, how to set your skill up for successful certification, and the process of how a skill gets certified.